Everything is connected – the health and welfare of animals, people and environment. 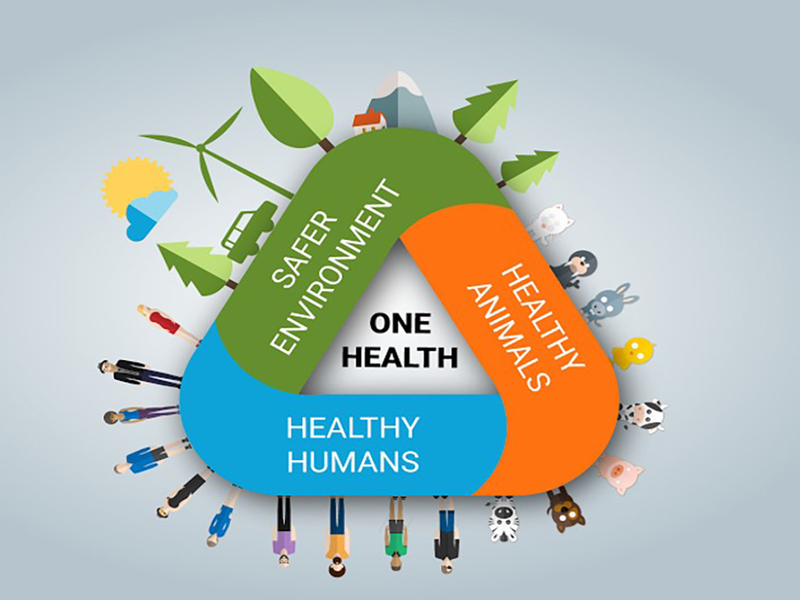 How to best promote food safety, animal health and welfare and environmental wellbeing in our society will be the challenging question in future. We will discuss on the exceptional animal husbandry practices in Finland. They benefit the future and wellbeing of us and our children. Finnish food production strongly promotes One Health and One Welfare. So – how it is done in Finland? EU-directives have been fully implemented in Finnish national animal welfare legislation including the ban of tail-docking of pigs since 2003. Other EU member states – with exception of Sweden – are just considering the steps towards intact pig tails. A long tail is an excellent measurement of welfare and mindset of pigs. If it is cut, it is more difficult to assess the wellbeing of an animal. Finnish pig farmers know that when the tail is upwards, the pig feels happy, safe and content. The alarming news of increased level of resistance against antimicrobials, have woke up the worries that there is a threat of lack of effective antibiotics in future world. We know that the less antibiotics used for people and animals, the less pressure it is caused for resistance in bacteria. The high animal health situation in Finland means that the need for antibiotics is low. Healthy animals do not need antibiotics. Finnish animal husbandry is committed to ensure the salmonella-free animal production. The Salmonella control programs are part of national scheme and it is officially controlled. There is no risk of salmonella infection when tasting the raw cookie dough made of Finnish eggs. Finnish farmers have chosen the strategy of producing high-quality food by clean, safe and sustainable production. Finnish measures taken have been proven to be effective – we are going to the right direction.